So I have officially built my beginners knife making forge. I am addicted to this craft already! I have a minimalist setup since I’m just getting started. I have a good idea as to how o move metal and forge the shapes I’m looking for but I just can’t seem to get the grinding down of all things, in particular the bevels...granted I am not using a 2x72 belt grinder (that will be built next month) but instead a 6x48. I eventually want to be able to grind all my bevels freehanded but that’s going to require me to destroy some knives in the pursuit of learning. 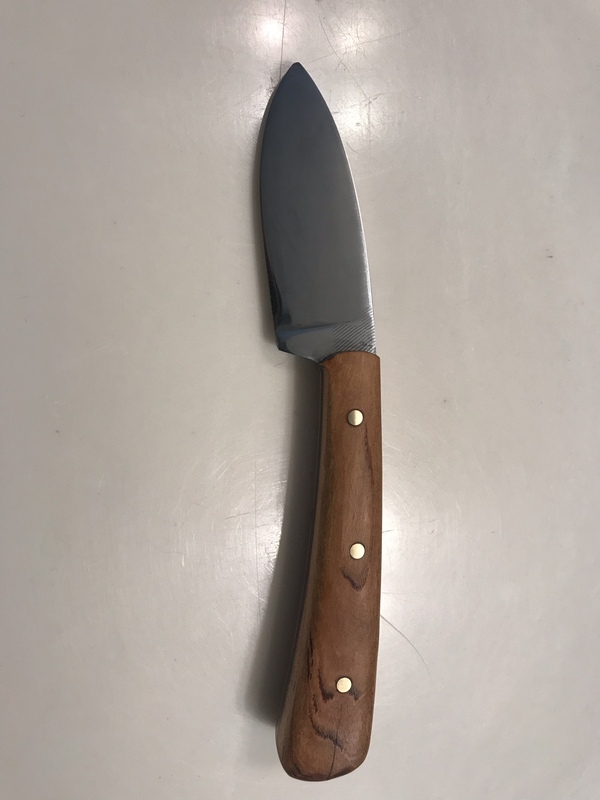 My question for you more experienced knife makers is should I begin teaching myself how to grind in bevels using a hand file or should I build a grinding jig to use on the machine? While I still have not built a forge- I have done about 25-30 stock removal knives. I started with a grinding jig on a harbor freight 1x30- but found it easier (for me) to do by hand without the jig. Good luck in your endeavors. Nothing like a well made knife. Update...I have built several knives as of this post. I upgraded to a 1x42 belt sander for my grinding work. The bevels are still proving to be a troublesome task at best but here is a little field knife I made for the Mrs.
I’m sure the more you work at it the better they’ll get.